The 64 oz. 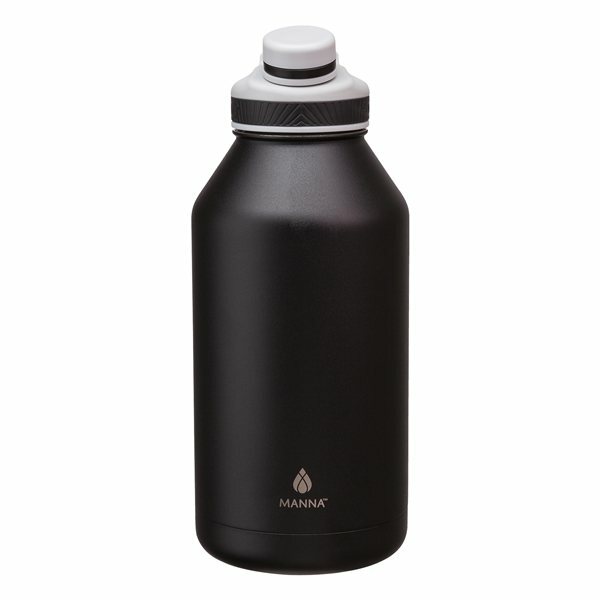 Ranger Pro bottle from Manna™ is made of 18/8 stainless steel and is an outdoor lover's dream come true. Its leakproof twist off lid with textured double injection grip and hinged carry loop allow you to carry this bottle anywhere. And its double wall, vacuum insulated construction keeps drinks cold for 24 hours and hot for 12. The lid's design features a small drinking spout with tethered lid, and a larger screw-tight opening for adding ice and easy cleaning.